In today’s hectic world many people seek peace of mind, strong mental and physical health, calmness and fulfillment. But reaching balance seems almost impossible with all those disturbances and stresses. For a long time I was rather skeptical about meditation, because I thought that such a simple technique couldn’t be useful. But I decided to give it a try and started practicing meditation for a few minutes each day. Not only did it help me to release accumulated stress, but it also helped me to stay stress-free. Believe it or not, regular meditation transforms your personality and makes you a better person. This is the very first benefit I got from regular meditation sessions. 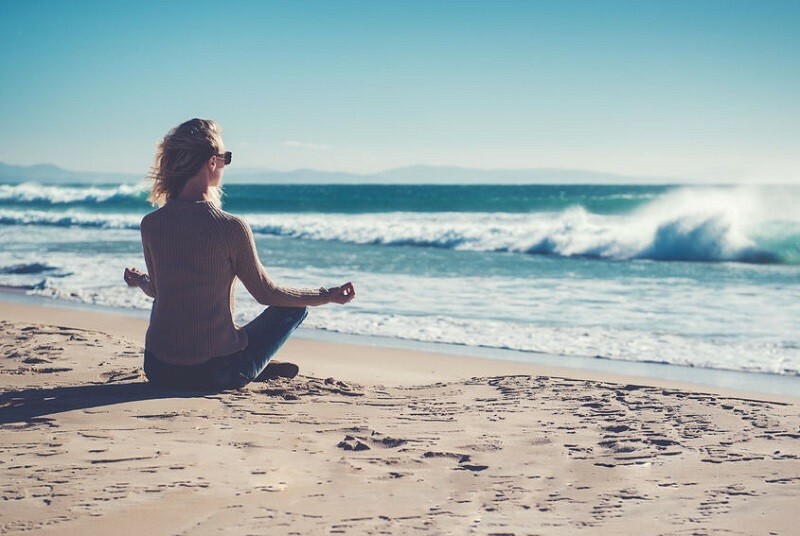 Numerous researches reveal that meditation activates and deactivates certain brain regions, which means that stress cannot get into your mental system even after the training. Repeating mantra, concentrating on your breathing and inner feelings and ignoring distractions result in complete relaxation. Gradually, you will become more stress resistant. Developing your concentration skills is crucial. Meditation can help improve your concentration. The more you practice the stronger it gets. Meditation is literally about focusing on a particular thing and controlling your attention when it wavers. I had to meditate in absolutely empty and quiet room, far from distractions and people. Bit by bit, I’ve learnt to stay concentrated and unruffled even at home with all the kinsfolk around. As a writer, I’m always interested in new sources of creativity and fresh ideas. Meditation helps to see things clearly and often from another perspective. 5 minute meditation activates brain regions, which are responsible for creative thinking and imagination. Everybody knows the feeling when you see the solution of the problem without purposeful thinking of it or when a new idea strikes you unexpectedly. With regular trainings I experience this more often. I was a selfish woman who focused on her job and money without noticing others. Meditation helped me to realize that selfishness is like a bad habit that prevents you from living a happy life. Compassion and sympathy are essential things in life. We often follow unwritten social norms of behavior and we don’t help or sympathize with others when we see that nobody does. Meditation, however, helps to break this stereotype and reduce a ‘bystander effect’. After meditation I feel a strong desire to act virtuous and to give without wanting anything in return. I often have trouble falling asleep. While sleeping pills and sedatives are harmful to my health, meditation helps me to get a sound sleep. Meditation enables me to get better control over my feelings and emotions during the day, thus I feel less alarmed before bed. However, if you are suffering from insomnia, make sure you consult your doctor first. It’s very important to be hard-working and productive in competitive environment. But working hard is always stressful and it leads to tiredness and low productivity. Meditation is recognized as a gateway of energy. It has a strong impact on the right side of the brain, which is associated with creating new things. Moreover, meditation is known for its recharging and soothing capacities. With a regular meditation I plan my work more efficiently and I can do the same job in less time. Surprisingly, but good memory is directly connected to meditation. Meditation is a very powerful tool that you can use to harness the potential of your mind and enhance your memory storage. Everyday meditation enables me to recollect things that have been forgotten a long time ago, and store new information safely at present. I think meditation is especially beneficial to students since they need to have a good memory each day. Positive attitude, clear thoughts, peacefulness are just a few advantages of meditation. But the most important gift that meditation can offer is harmony. Meditation helps me to look at myself without those rose-colored glasses and see all the upsides and downsides of my personality. I’ve learned to accept and love everything about my life. I’ve recognized true priorities and goals I should reach and I’ve learned to understand people better. Meditation is a powerful weapon that helps reduce stress, the culprit of most diseases. While most people try to remove the symptoms, such as headache, weakness or back pain, meditation eliminates the major reason. Meditation helps to improve immunity, blood pressure, heart health and speed up anti-inflammatory processes. Sure, healthy diet, physical activity and adequate sleep are essential but a few minutes of meditation before bed will complete the task. With meditation my life has undergone great changes and it will never be the same. Whenever you decide to start meditating, you should do it regularly. If you want to improve the quality of your life, give it a try and you won’t regret you did! Have you ever tried to meditate?